Whether you’re concerned with keeping your pooch warm or cool, setting them up indoors or outdoors, or tucking the bed in a crate (or next to the couch), we’ve got a little something for everyone. 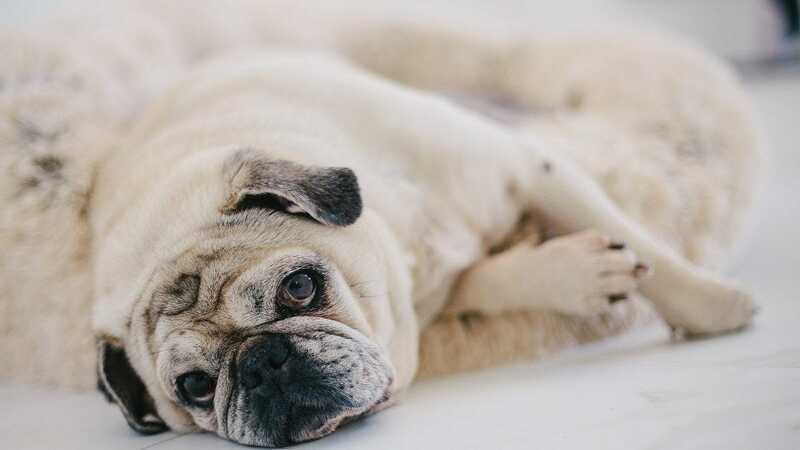 We’ve considered how easy it is to clean these beds, their durability, their pricing, and even what functionality they can provide for your dog—so if your he makes your car muddy or tends to chew up soft things, take a peek at this list of best dog beds! The Magic Pet Dog Bed is one of the least expensive options on the list, but that doesn’t mean it’s cruddy. 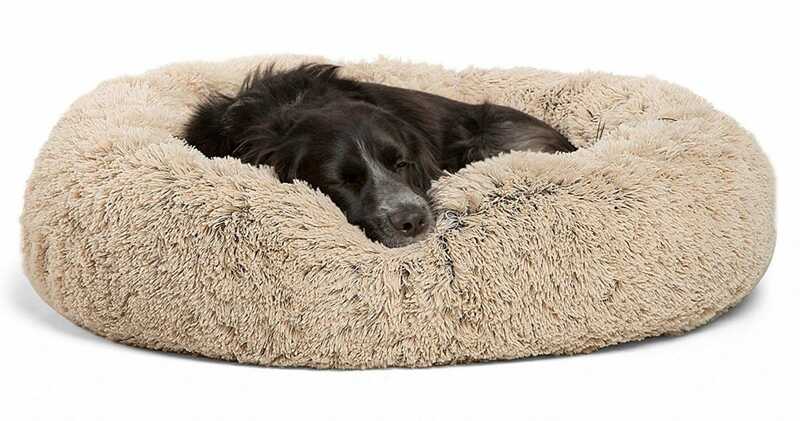 With two sizes (medium for up to 45 pounds and large for up to 70 pounds), this dog bed is lightweight and easy to move around to different rooms, providing a place for your dog to rest in any area of your home. The Magic Pet does just what you’d expect a dog bed to do: be comfy enough for a dog to lie down on it, be durable enough for a dog not to destroy it, and be easy enough to clean in the case of messy dogs. Magic Pet Dog Bed is quality built, from the fabric to the stitching to the interior fill, making it sturdy in the event of a rowdy pup or destructive chewer. 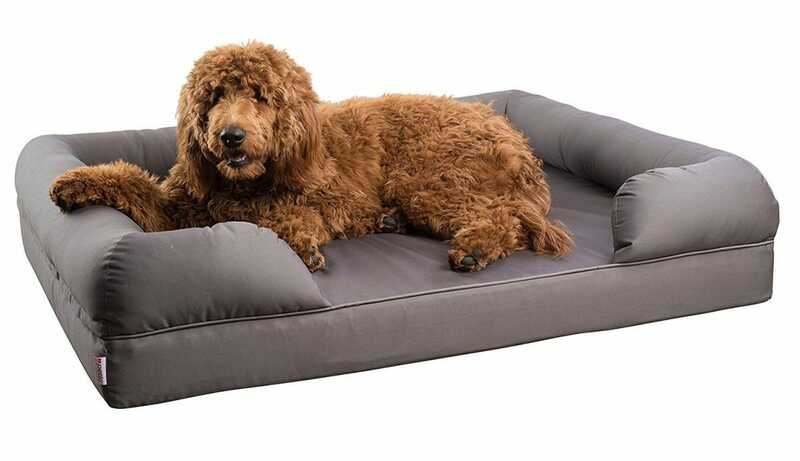 The fill (made from polyester fibers) provides support while also being super comfortable and soft—it even has pillowey sides for dogs who like to curl up. 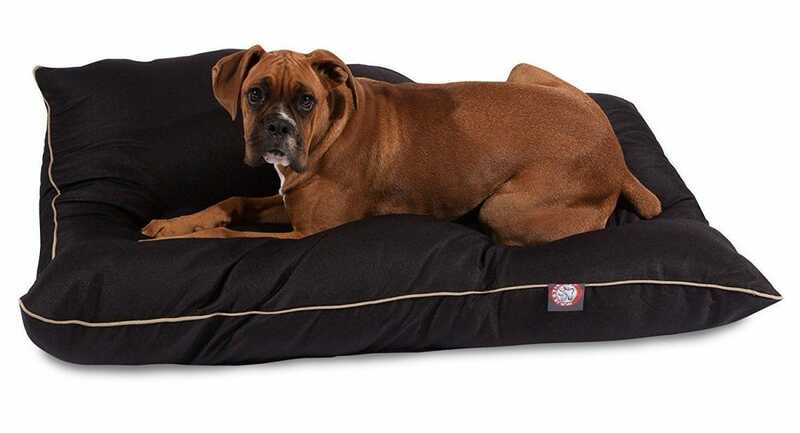 For dogs who may roll around in mud, this dog bed is machine washable, so you can get the entire bed clean and not just the removable cover like many dog beds offer. Just note that you need to wash it in an open drum washing machine. The Internet’s Best Dog Cot is a durable pick for dogs who tend to rip dog beds to shreds. Because there’s no internal fluff to eat, tear, or destroy—it’s just a polyester cover over a steel frame and PVC pipes—there’s not even a whole lot to chew on in the first place. 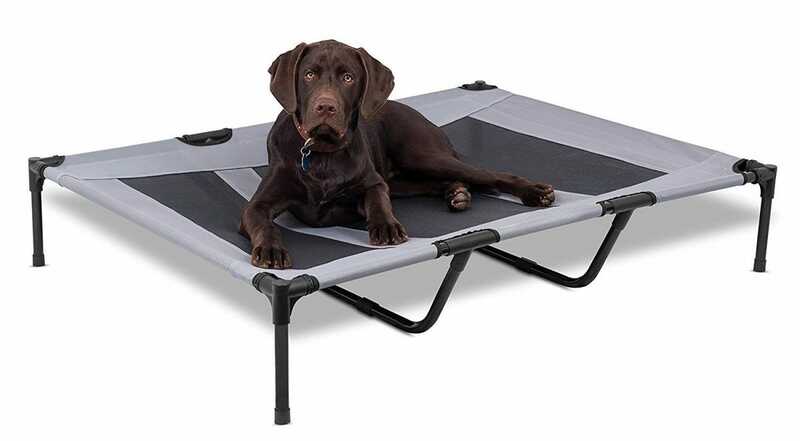 It can hold up to a 150 pound pooch, and even if the dog jumps up onto the cot from a running start, the frame will stay in tact and the non-skid rubber feet (great for both protecting your floors and your dogs hips). The bed can be used inside or outside, and can keep your dog cool, especially in the summer. Because it’s elevated with breathable mesh, it provides air circulation that a standard fluff-filled bed directly on the ground can’t compete with. The elevation also keeps dogs clean of dust, dirt, and bugs—but if your dog happens to get into any mess, the cot is easy to clean by simply wiping down the cover with a wet cloth. If Buddy loves curling up on the couch and just can’t have it any other way, what are you supposed to do? Get him a bed that he can’t refuse! The Best Friends by Sheri Donut Cuddler is great for training your dog to not get onto the couch or bed since it’s super comfy and it envelops the dog like their favorite furniture would. Buddy can just curl up in the donut and fall asleep within the cozy faux fur exterior. When your dog is in the center of the donut, the bed provides not only a sense of security, but head and neck support along with muscle and joint relief from the soft filling of the bed. The Donut Cuddler is also made of pet-safe materials and is machine washable (a huge plus if Buddy likes to get dirty). The underside of the bed has water and dirt resistant backing, so you can put it on the porch or any surface without the actual bed getting dirty. Lastly, it comes in three sizes: small for up to 25 pounds, medium for up to 45 pounds, and large for up to 60 pounds. What do you do when your pup isn’t a pup anymore? If your older dog is having trouble getting up on the couch or is in pain from arthritis or other health issues, check out the Petlo Orthopedic Pet Sofa Bed. 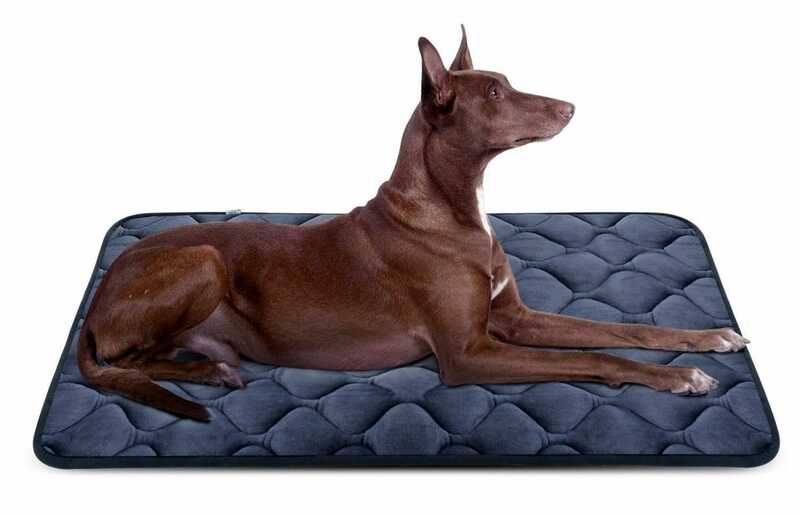 He won’t feel left out when he can’t climb up on the furniture anymore, because the Petlo bed is comfy yet firm, and has raised edges to make your dog feel like he’s on his very own throne. The bed is made of orthopedic memory foam, which reduces joint pain and makes it easier for your dog to get up from the bed. The less pain your pooch has, the better his mobility and overall health will be. The bed cover is water resistant, removable, and machine washable, so if your old pup has an accident, you can clean it up in no time. With small, large, and extra large sizing options, your dog will definitely have a place to lie down for his afternoon nap. If you want to combat your dog’s achy bones even further, consider our heated dog bed option, the K&H Pet Products Thermo-Snuggly Sleeper, which has a removable heater. And if you want to stick with our original pick for older dogs (but want the additional warmth), consider purchasing the RIOGOO Electric Pet Heating Pad to put under the Petlo Orthopedic Pet Sofa Bed. If your dog tends to get bored in his crate and tears up beds with a lot of plush, check out the Hero Dog Dog Mat. It’s relatively thin compared to other dog beds, making it easy to place and fit in a crate (and harder for dogs to chew on), but it still protects your dog’s joints and back from the hard bottom of the crate.The super soft microfiber fleece not only provides comfort, but it is a breathable material that helps regulate the dog’s temperature and protect its skin. So that you can avoid situations where the mat is pushed up on one side of the crate, the anti-skid bumps on the bottom of Hero Dog Dog Mat prevent the mat from sliding around, even if the dog is playing on the mat. Also, you can use this mat in a crate, but it can also be placed on top of an elevated bed for extra comfort, like the Internet’s Best Dog Cot we mentioned earlier. There are 7 different sizes available, so you can find the perfect measurements for your create without there being any gaps between the sides. While you could always put a dog bed in the backseat of your car, what about those times where your pooch is jumping around on your seats, or is muddy from the dog park? 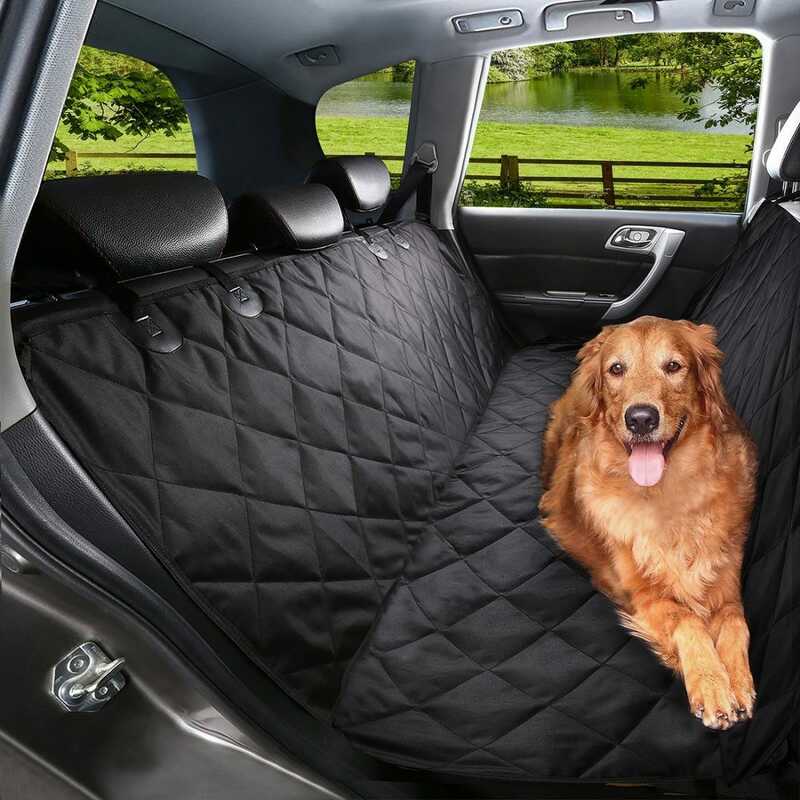 The WENFENG Pet Seat Cover is great if you want your dog to feel comfortable, but you also want to keep the interior of your car clean, hair-free, and clawmark-free. The seat cover works by using 4 easy-to-use adjustable straps to hook over the headrests in front and back of the area you want your pooch to sit in. You can put in and take out the cover in a matter of minutes. The durable materials of the seat cover prevent claws from damaging the seat, but are also comfortable for the dog at the same time. A non-slip backing keeps the cover in place even if it’s on a slippery surface (like leather seats) or you’ve got a very rambunctious dog. This pet seat cover was designed to cover all backseats of cars, trucks and SUVs. It’s even waterproof and easy to clean since it’s machine washable. Plus, it’s great for the biggest or smallest of dogs—but if you’d prefer your smaller dog to be in a more confined dog bed while traveling around, check out the K&H Pet Products Bucket Booster Pet Seat.